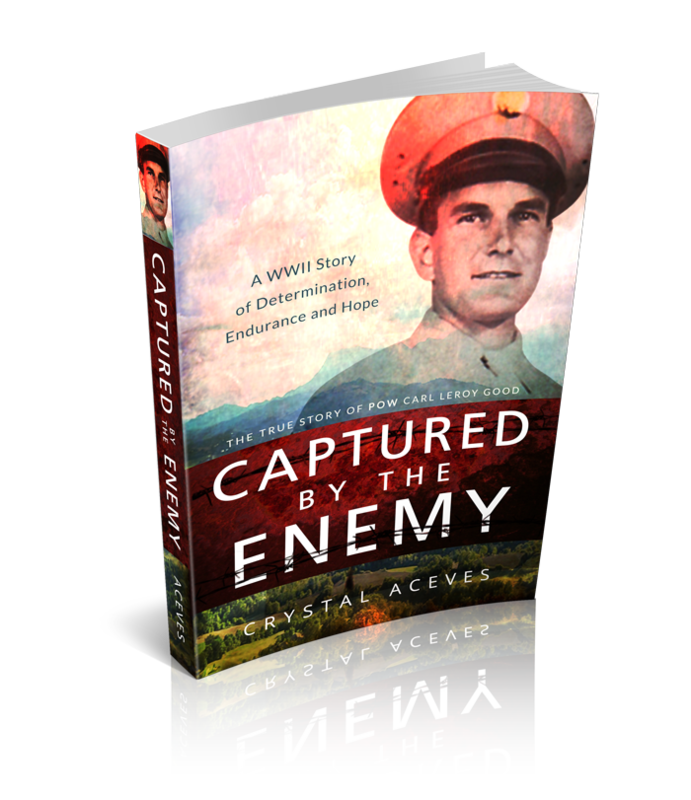 Captured by the Enemy is a book that retraces the steps of WWII POW Carl Leroy Good. It was written so that his amazing story could be shared along with the WWII history that went with it. Through interviews, memoirs, division reports, WWII records and books, and lots of research, this book takes you for a ride in Carl’s jeep as they move across North Africa and into Sicily. When Carl is captured in Sicily, his life is changed forever and the first two chapters deal with that change as he tries to readjust to normal life. Unfortunately, life can never be the same as he returns to the war in his dreams. 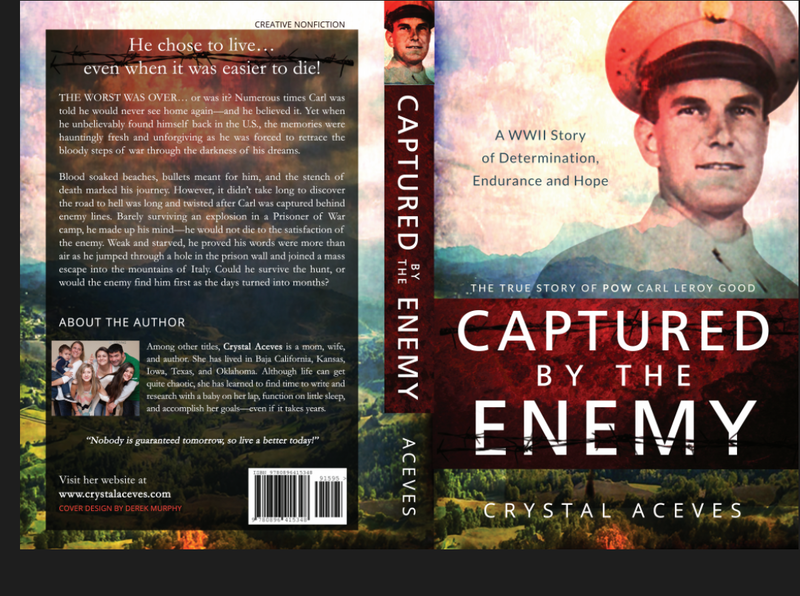 Author, Crystal Aceves, is currently looking for teachers (3rd grade to post high school) who would be interested in reading a free Kindle version of Captured by the Enemy. Carl would have been 96 years old on July 3, 2015. Therefore, in his honor, this book can be downloaded FREE from Amazon Kindle for these three days only–July 3, 2015-July 5, 2015! In exchange, the author asks for an honest Amazon review and that participating teachers fill out the contact form below. Besides the free Kindle download on the days listed above, any teacher who responds by leaving a review will be entered to win a $100 gift card to purchase classroom supplies at http://www.reallygoodstuff.com/ . The chances of winning will depend on the number of teachers who participate (must have at least three submissions to hold drawing). Only one gift card will be randomly selected for one lucky teacher. All forms with required suggestions will be due by Saturday, July 25, 2015. The winner will be announced and contacted through email on Monday, July 27, 2015. Please pass this information on to any teacher who might be interested. Thank you! I have mentioned several times that through my journey of research, I have connected with many wonderful people. Recently, I was asked to write a letter for Riccardo Funari. For those of you who are new or who don’t remember who Riccardo is, let me briefly explain. Riccardo Funari was a WWII Italian Partisan who fought for a free Italy. He didn’t want to be repressed under the Fascist rule and especially not under the rule of Hitler when Germany took control after the fall of Mussolini in 1943. How does this relate to me? Well, my granddad, Carl Good, was captured in Sicily and ended up in a prison camp in Italy. After a mass escape, his path crossed with Riccardo’s. Many years later, Riccardo was recognized for what he had done for his country and a memorial was set up in his honor. 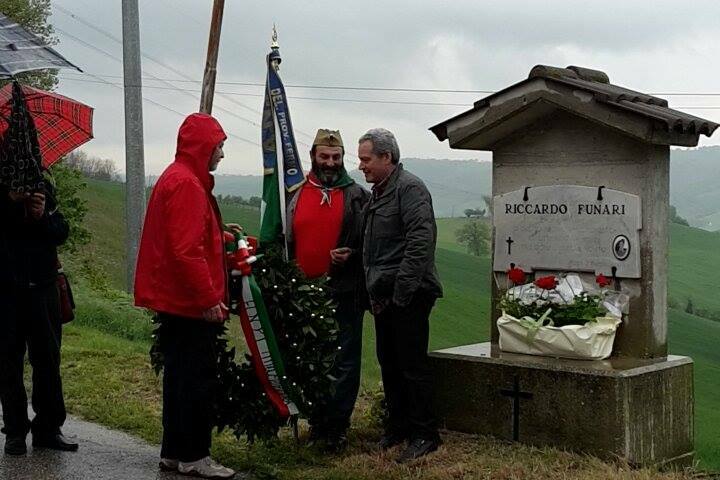 This year, the commemoration was held today in Italy, but through Riccardo’s nephew, Ricardo Funari, and his great-niece, Vanesa Funari, I was able to be part of this special day. Although I couldn’t be there, my letter to Riccardo was read at the church and Ricardo and Vanesa were there to send pictures and keep me updated. Vanesa sent me a message saying it was very rainy and although I’m sure it was inconvenient for the commemoration, I found it somewhat fitting. The night before Riccardo was killed, it was raining. Staying under umbrellas, they put up a beautiful wreath in Riccardo’s honor, and then moved over to the church. My name is Crystal Good Aceves. Perhaps you will better recognize the name of my grandfather, Carl Leroy Good. When my grandfather escaped into the mountains outside of Camp 59, he had no idea where he should go. He was with five other prisoners and they only knew they had to get as far away as possible. As they climbed the mountains into the night, the adrenaline pushed their weak bodies towards Monte San Martino. After going all night, they only made it to the edge of town where they hid in grass and brush to wait through the hot day until it was safe to walk again. The next night, they started walking and met a man who was a neighbor to your family. His name was Giovanni Straffi and although he didn’t own his land, he was a good, hardworking, Italian farmer who wanted and believed in a better Italy. Riccardo, I know you wanted the same thing. You could have stayed home and rested after being injured in war, but you chose to fight. You knew that Italy deserved more than to be under the control of the Fascists and the Germans. You knew that to free your family from the pain and suffering, you had to step up and join the fight from a different position. Together with your friend, Gino, you were not afraid to join with Decio’s group of Partisans in the mountains. You chose to defend your country with other men who agreed that living in fear and punishment was no way to live. You were tired of the enemy stealing your things and threatening to kill you. Although my grandfather and his friend, Jim, wanted to join you, it was too dangerous with their limited Italian and American accents. However, you helped them when you could. They hid in a ditch across the road from your house in a hut made of plants. 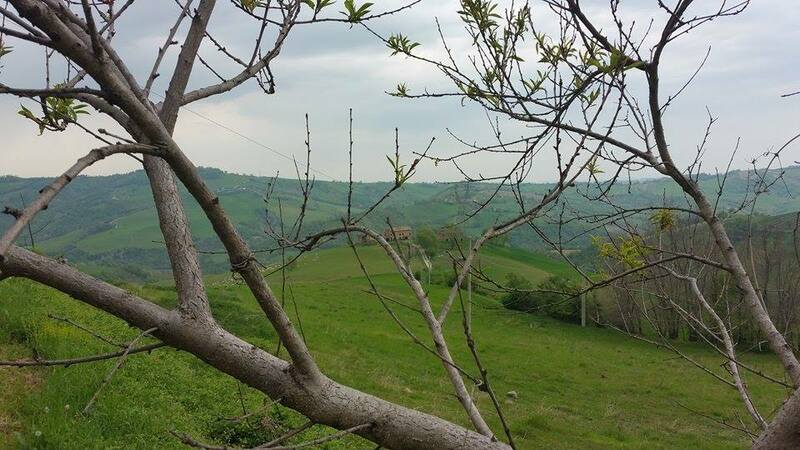 The hope was that they would be secluded enough that the enemy would not find them, but it would also allow them to view the lower roads and the farms of the families who were helping them. You took them food and information whenever you visited your family. You invited them to go with you to return the stolen grain the Germans had taken from the people back to the hungry Italians who deserved it. My grandfather was able to get some for the families who risked their lives to save his. That rainy night in April when you went home, you stopped and talked to my grandfather and Jim. My grandfather said he would see you tomorrow, and he really thought he would. It tore him up when he woke up at the light of dawn to find the Fascists had discovered you at home. He could do nothing to help you as those Fascist pigs lined you up against the ox stall. They put your mother on one side of you, your father on the other side, and your brothe beside your mother. Then they shot you in front of them (this story differs from the family in that his mother wasn’t allowed to look out the window from where she watched or they would kill her too.) Then the enemy took everything from your home, including the livestock. Your mother screamed an unearthly scream. You were her son. You were her protector. She didn’t understand why you chose to risk your life and fight with the partisans. Her agony and pain of losing you was so deep that she scratched the wooden floors with her fingernails, but that wasn’t the end. Even after sixty years had passed, my grandfather told me about you by name. He told me that you had a heart of gold. He wasn’t able to trust many at that time while he was hiding in the mountains, living day to day, but he trusted you. I could see the look of remembrance in his face when he mentioned your and Gino’s names as he slightly smiled. He thought highly of you two and respected you for taking the positions you did. You gave the ultimate sacrifice and several months later your Italy was freed from that oppressive power against which you fought. My grandfather survived over nine months in the mountains near where you lived. 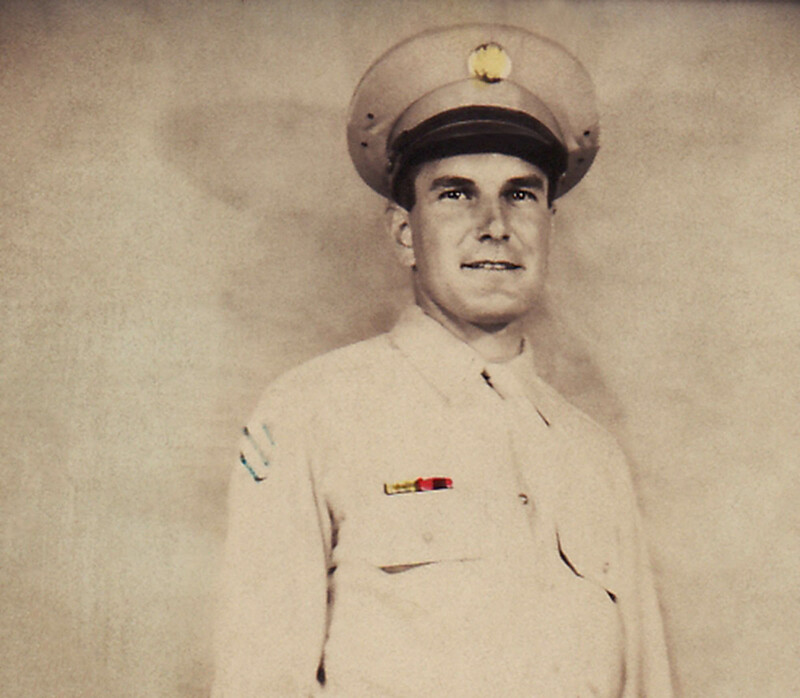 You would be happy to know he made it to Allied lines on June 21, 1944—not even two months after you were killed. He made it because like you he was a fighter, but also because you and the community you lived in worked together and helped keep him alive. Your family moved away from Italy after the war, but you were never forgotten. Your blood boldly runs through descendants who honor your name. I am privileged to call your nephew, Ricardo, and your great-niece, Vanesa, my friends because we have a connection through you. Now, seventy-one years later, I write you this letter to tell you thank you. Thank you for helping my grandfather. Thank you for fighting for justice. Thank you for giving the ultimate sacrifice. 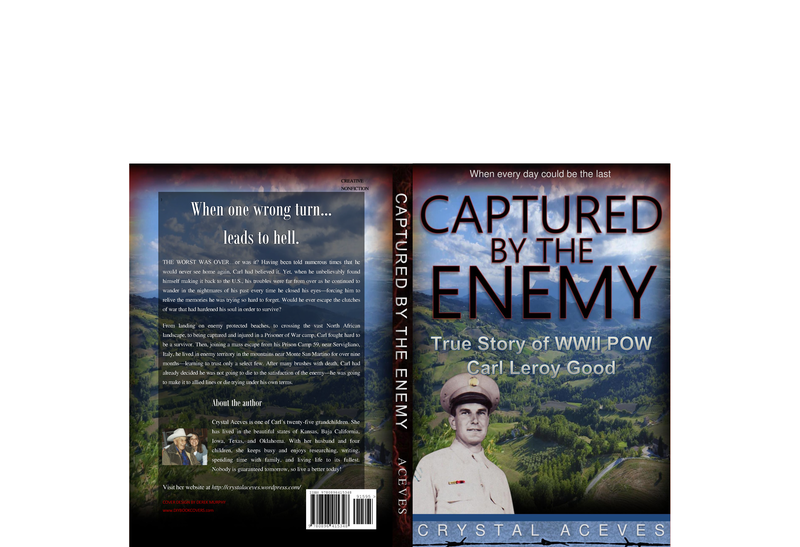 Coming soon there will be a book that puts all of Carl’s war experiences into one true story. I will let you know when that is ready. 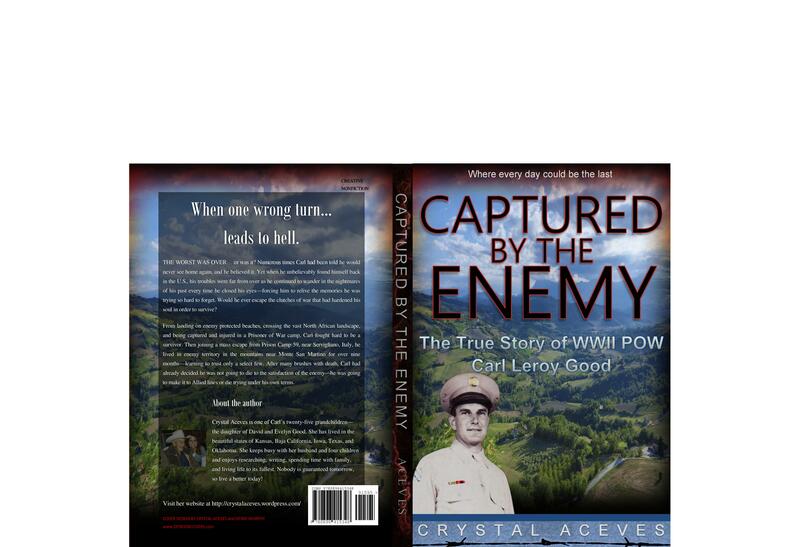 As many of you know, I wrote a book about my granddad’s WWII experiences. In fact, I worked on it since 2008. There were many reasons why it took me so long–the main reason being life. However, I did not quit. I kept working on it and researching and discovering. I tracked his steps from his landing in Fedala, Morocco, as he passed through Algeria into Tunisia, as he made a second amphibious landing into Sicily, his capture in Sicily just 6 days after landing, going from POW camp to POW camp and ending up in Camp 59 near Servigliano, Italy, and his escape into the nearby mountains where he lived near Monte San Martino for over nine months. Nine months may not seem like a long time, but when you’re in the open mountains during the wintertime with little food and people are out to kill you, it most certainly becomes an eternity. On my journey of research, I found and connected with several people who answered questions and helped fill in the blanks. It is interesting how these people I had never met in person began to feel like long time friends. Here is one such story. 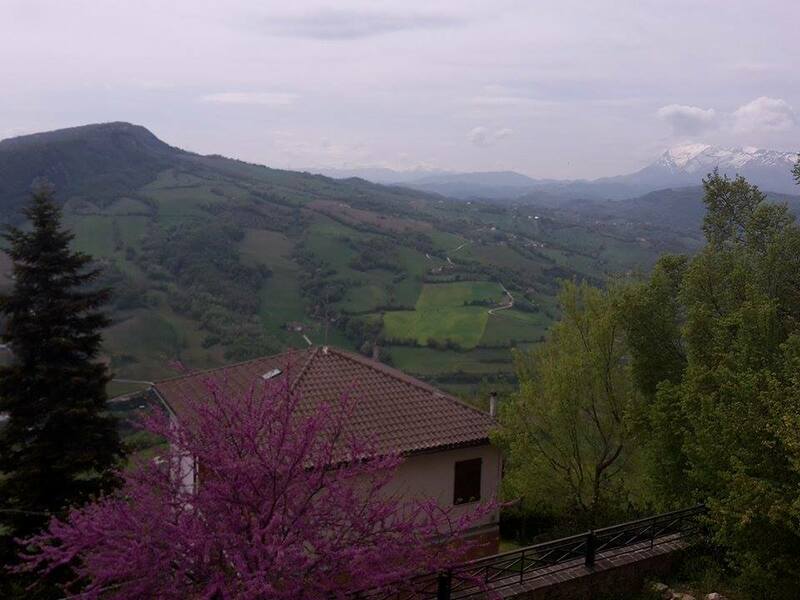 As my granddad was still surviving in the beautiful Italian mountains, he wasn’t able to enjoy the scenery as spring approached. Having just made it through the cold winter, starvation had become a very close neighbor. 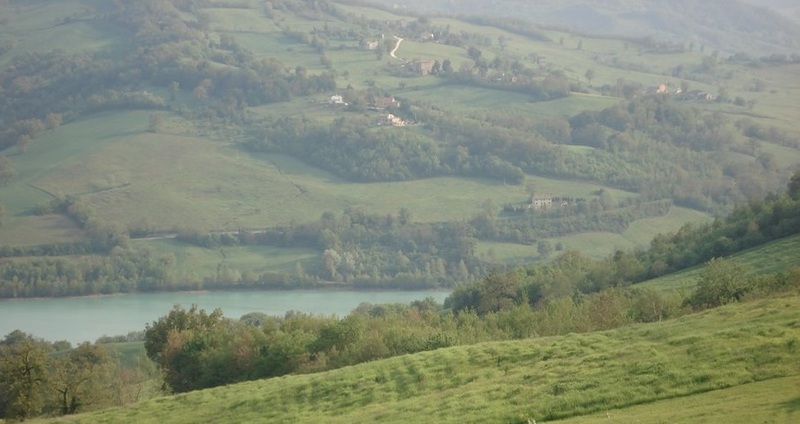 Not far from where he stayed, there was a young man who had become a partisan for Italy after being injured in the Italian Army and sent home. His name was Riccardo Funari. 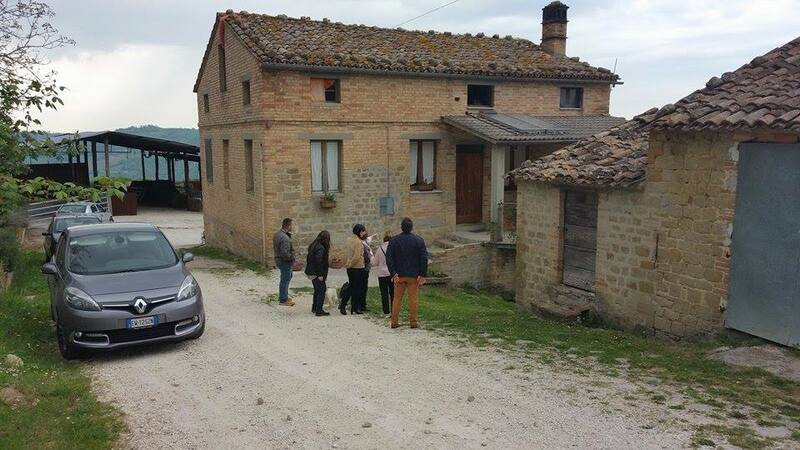 In short, Riccardo was discovered by the Germans and they went and shot him in front of his mother, father, and younger brother, Umberto. My granddad heard the commotion and saw the murder take place. There was absolutely nothing he could do about it, and the image was permanently burned in his memory. Seventy years later, as I researched the story and put facts together, I found Umberto’s son, Ricardo. Umberto had moved to Argentina after the war and raised his family there. However, because Riccardo died for his country, he was listed as a hero of the people and not forgotten. Although Umberto had passed, Ricardo and his daughter, Vanesa, were most helpful. Ricardo was still living in Argentina, but Vanesa had moved to Italy and lived close to the area where my granddad had spent those nine long months. They were happy to hear from me and gave me some wonderful information that added to my story. 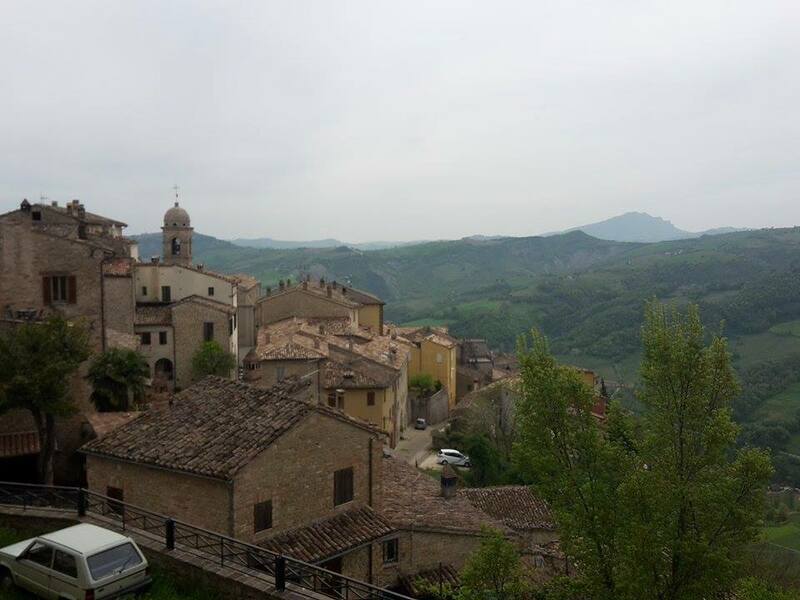 They were proud of their family history in Italy and Vanesa shared stories and pictures. They also helped connect me to other knowledgeable people in the area who could help me fit missing pieces together and recreate such a fascinating story. I have enjoyed the friendships I gained, and I hope to meet them some day. This is the fun part of the many hours spent on research, and it was worth every minute. 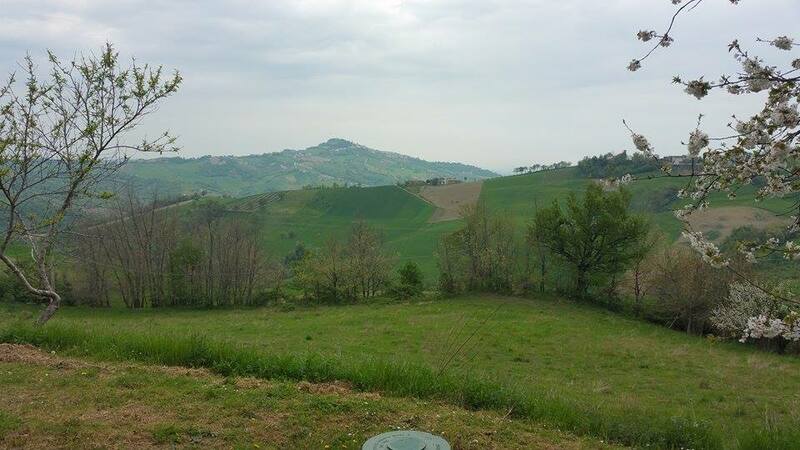 This is the area where my granddad hid out for most of his nine months near Monte San Martino, Italy. Vanesa Funari sent me this picture. Thank you, Vanesa. This is just a very small part of what will be found in the book, Captured by the Enemy. I have lots of great stories to carry the book along and although it is a true story with lots of history, I promise you that it will not be a boring read. Once again, here is the full spread. It will be available for sale this year. I can’t wait for you to get to read it.